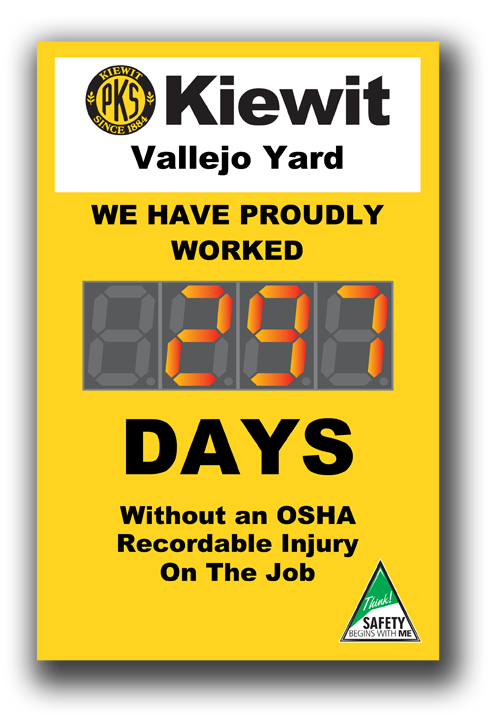 Providing a highly visible means of tracking the number of days your facility has gone without an injury or accident using safety scoreboards is a critical piece of your overall safety awareness program. Placing a safety scoreboard to track your days without an accident record in each high traffic area serves to promote safety consciousness and serves as a quick reference for your team members. A sign with several displays can be even more motivating. Our online design tool allows you to make each sign your own by customizing the text and graphics to your company or safety program needs. Whatever you can dream up, we can produce. If design isn't your thing, don't worry! Our in house designers will come up with a great looking design for you, and you'll always have an opportunity to approve your custom design before we manufacture it. 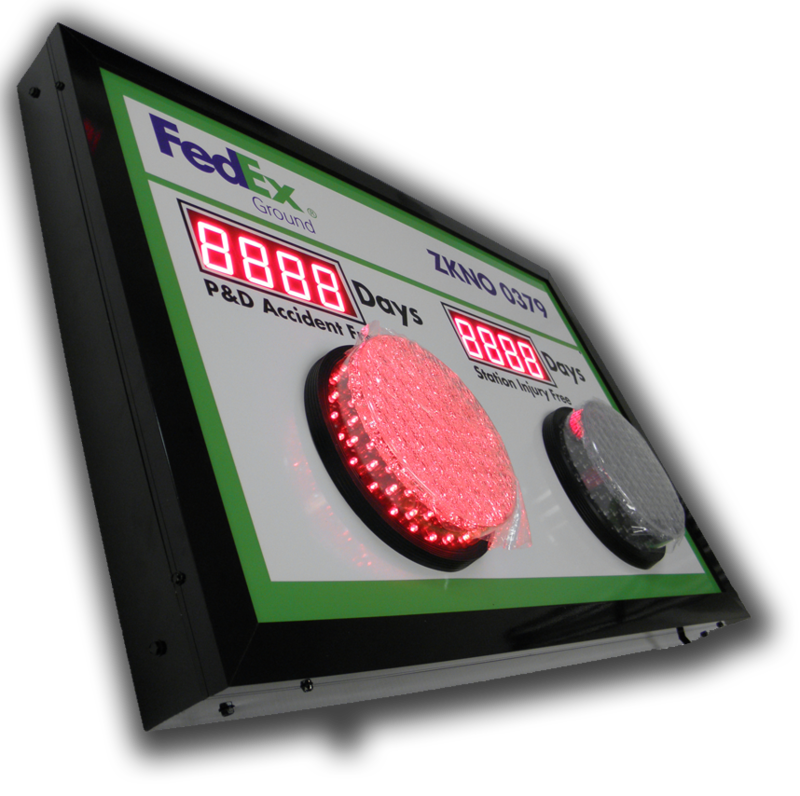 Incorporate any number of 2.3" or 5" numeric displays into your sign to automatically track time until or since an event. Our numeric displays can track days, hours, minutes or seconds! Add a solid or flashing red, yellow or green stoplight for extra attention. Or add a scrolling message display to communicate important information. 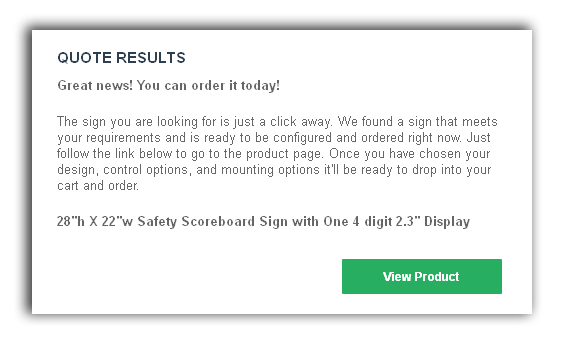 Our product finder and quote tool will help you find and customize the sign you want. Just tell us what size sign you are looking for and what display types should be included and we'll point you to the right product. If we don't have a configuration listed you'll get an instant price quote for your sign and instructions on how to order.